The Exomotive Exocet maintains the relationship between the pedals and steering column on the US cars. Your clutch assembly should go in first with your clutch master cylinder. Some aftermarket clutch lines might interfere with a nearby 1” round tube, so be warned. Exomotive sells a low profile stainless steel “straight shot” clutch line in the online store that features a banjo style fitting to give maximum clearance for the tube. This clutch line is also included in the stainless steel brake and clutch line kit. The stock hardline can be bent around it. Next, insert the brake booster from the engine side through the four holes and bolt the pedal assembly from the interior side. Use the same nuts that came from the Miata. If your brake master cylinder was not already installed on your booster, bolt on your brake master cylinder. Be careful that no brake fluid drops onto your frame. Painters tape makes a good temporary barrier. Between the throttle pedal assembly and the firewall. You can drill a hole in the firewall if desired. The odd shaped brace above the pedals has holes above the brake and clutch pedal assemblies. You should be able to wedge those spacers under that brace and connect the assembly through the assembly’s slot. Route the steering shaft through the hole in the front bulkhead towards the steering rack. 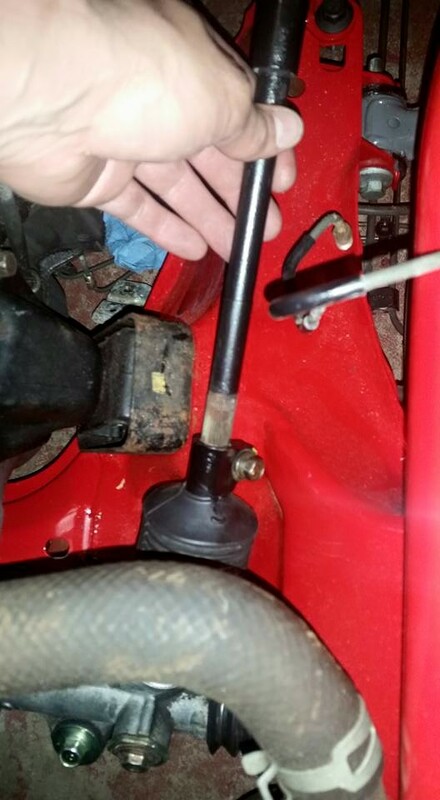 If you find that the steering shaft is too short and will not extend all the way to the steering rack, the steering shaft can be telescoped out. Be careful not to extend it too far. Sometimes it is as easy as using your hands, other times have required vise grips and a hammer. 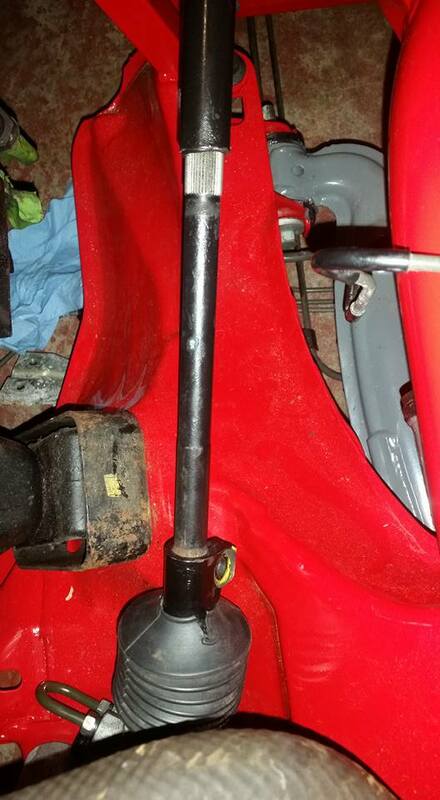 Install the Miata steering column by inserting the steering shaft into the steering rack connection and bolting it using the M8 bolt from the donor. The drivers end of the steering shaft should be bolted to the lower holes of your steering column drop plate. Use M8 nuts/bolts/washers from the donor or source your own. 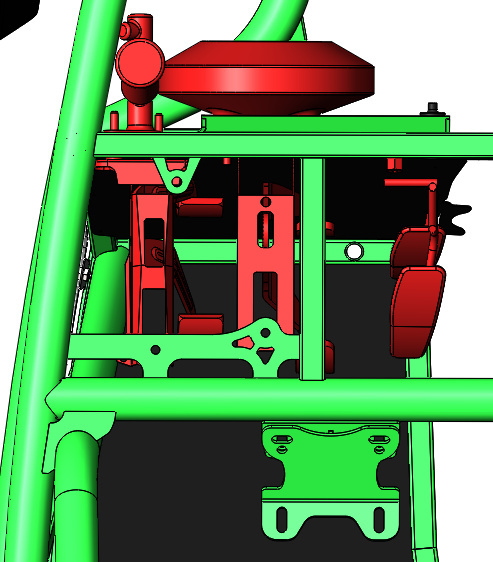 This is also the time to add the dash pod/cowl mount if you plan to use the Exomotive-supplied fiberglass dash pod. 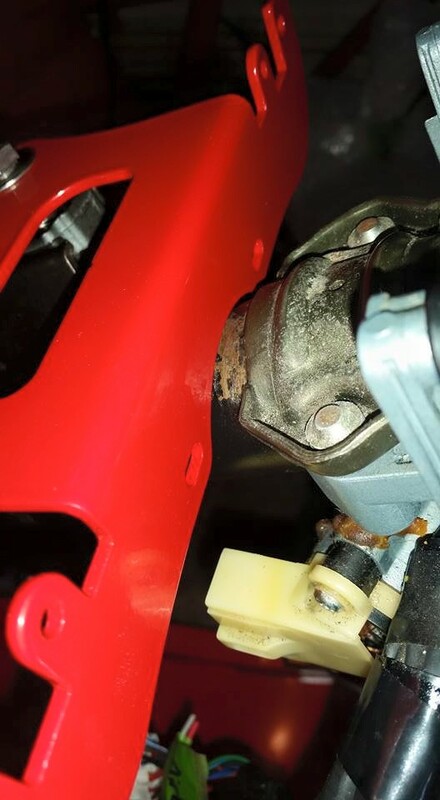 In preparation for dash pod installation, you can elect to add some of the edge trim included in the kit to the lower arc of the dash pod bracket, tighten down the bolts, and zip tie around the steering column from slot to slot. This will help stabilize the gauges when you bolt them to the bracket using the supplied hardware.